Looking for physical therapy templates? We've got you covered! Do I need more than just a physical therapy invoice template? Physical therapy involves a lot of different kinds of people with a lot of different kinds of physical problems, so it can be hard for everyone involved to keep track of the finances. 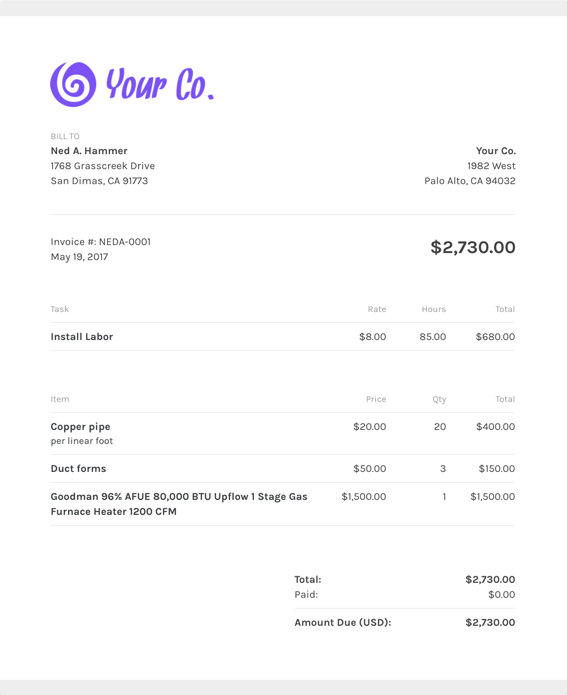 Using an invoice template can help you streamline your billing process and gives you something to refer back to if the client has any questions about services or charges. But using a template doesn't magically make your finances organized. Using a free physical therapy invoice template from ZipBooks means that all of your invoices will be safely recorded all in the same place so you can easily find them. We can also help remind your clients to pay you when they forget. Check it out. What should I include on my physical therapy invoice template? One popular selling point about ZipBooks is that you can save default settings for your invoices once you nail down the invoice details. Using ZipBooks for your physical therapy invoice means never forgetting to include critical information. We’ve collected data from tens of thousands of invoices and use it to score your invoice based on what information you include so you’ll get you paid faster. Why should I use ZipBooks’ physical therapy invoice template to create and send my physical therapy invoice?